Last year, CB Insights estimated that more than $1 billion has been injected in the Femtech space since 2014. 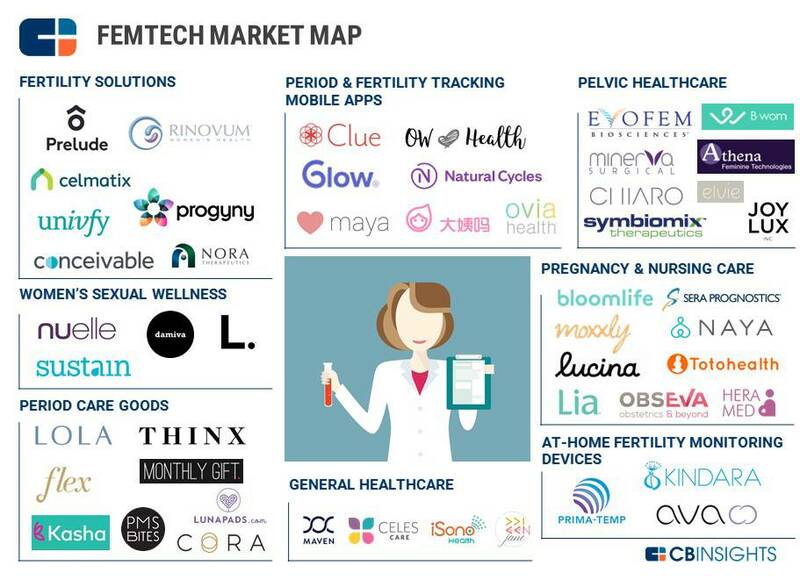 Here are some examples of Femtech startups that are backed by VCs. “These are companies that are priced right, venture backable and can generate great returns,” adds Costello. “And there are hundreds to choose from!” When you see the investment opportunities in this space, it’s hard to believe that it has taken this long to disrupt women’s health. But seeing as more than 90% of investors are men, it’s not that surprising, especially when they refer to the Femtech space as a “niche” market -- when in fact it concerns more than half of the population. “The issue has been on the venture capital side but also on the Angel side,” says Costello. “We know that investors are more likely to invest in areas where they have a personal understanding of the product.” Granted, relating to a breast pump or a menstrual disc can be trickier for a man. It’s encouraging to see more and more startups tackling this space as they try to modernize products and services in women’s health. Although the speculum was created in the 1820s, entrepreneurs are only now beginning to rethink its shape and function. Same goes for the breast pump. “Naya Health, which created a much lighter and practical breast pump, was the first company we put on the Portfolia platform,” says Costello. And there are so many other products and services related to women’s health that are waiting to be disrupted -- one of which is the screening process for breast cancer. “You know there’s technology that can change that,” adds Costello. This FemTech overview was written for Portfolia by Bérénice Magistretti, who is a leading FemTech journalist. To learn more about Portfolia's FemTech fund register here.